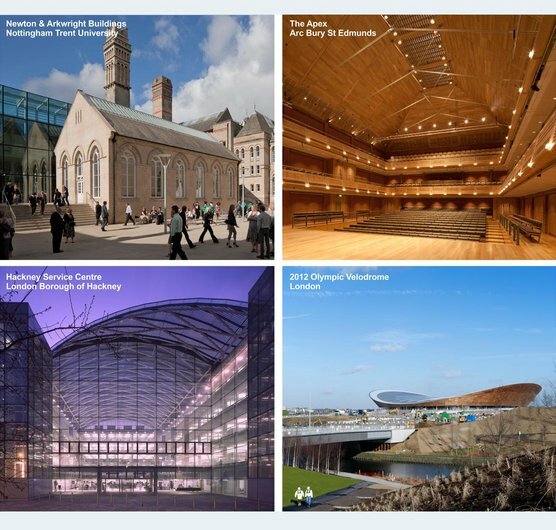 The Newton & Arkwright Building for Nottingham Trent University, The Apex, Arc Bury St Edmunds, Hackney Service Centre and the London 2012 Olympic Velodrome have all been shortlisted for the 2011 RIBA Regional Awards. RIBA Awards are given for buildings that have high architectural standards and make a substantial contribution to the local environment. The final award winners will be announced at a ceremony at the V&A on the 19th May 2011.